Join us at our Ventnor Branch on Monday, May 5, 2014 for a recitation by "Two Jersey Poets," a.k.a. Sherri Dratfield and Michael J. Grabell. The evening will begin at 6:30 PM with these two award-winning authors reading from, and commenting on, their work. Share in the discussion and enjoy refreshments with others from the Atlantic County community. Writing in traditional and non-metric forms, Sherri Dratfield was nominated for the 2013 Puchcart Prize for her collection of poems The City . Her new collection, Water Vigils includes the poem "Time Pieces Repaired" which won a Margaret Reid Prize for traditional verse. Michael J. Grabell’s first poetry chapbook, Macho Man, won the Finishing Line Press chapbook prize. His poems have appeared in the Best American Poetry anthology, Best New Poets 2009, Southwest Review, Columbia Poetry Review, Alehouse, Rattle, and the Sow’s Ear Poetry Review. His poetry has also won a Dorothy Sargent Rosenberg prize and was runner-up in the River Styx International Poetry Contest. Read his poem "Drifting" here. Registration is requested by calling 609-823-4614. 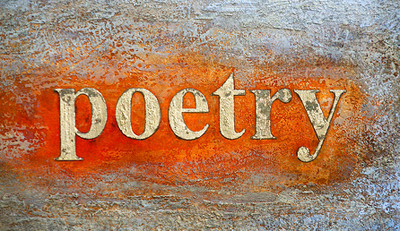 This April, poetry readings, workshops and events are being held at the Mays Landing and Galloway Township branches of the Atlantic County Library System in recognition of National Poetry Month. Started in 1996 by the Academy of American Poets, the goal of this month long celebration is to spotlight poets and their craft in an effort to encourage and nourish a love for the medium. All are invited to participate in these events to be inspired and to help inspire. Also all month, we encourage you to share your talent online with us. Tweet a picture of your “Book Spine Poetry” or your original 140 character poem to @aclslibrarian and include #NaPoMo and/or #NaPoWriMo (submissions may also be posted on the Atlantic County Library System's Facebook page by administrators). 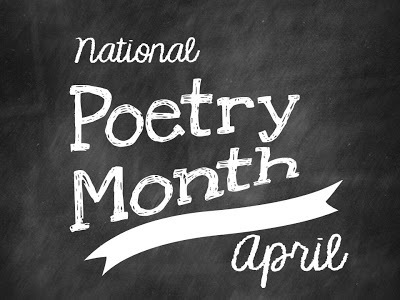 For other ideas to get in the spirit of the month, discover “30 Ways to Celebrate” or challenge yourself to write a poem a day with help from the National Poetry Writing Month website. On March 26th, Romance Writers of America announced the finalists for their 2014 RITA awards. This year's honorees included Brigantine Branch Senior Library Assistant and author Beth Ciotta for her steampunk novel His Clockwork Canary in the Paranormal Romance category. For ambitious engineer Simon Darcy, winning Queen Victoria's competition to recover lost inventions of historical significance is a matter of pride--and redemption. After all, it was Simon's failed monorail project that left his family destitute, and winning the tournament would surely restore the Darcy's reputation. Simon sets his sights high, targeting no less than the infamous time-travel device that forever changed the world by transporting scientists, engineers, and artists from the twentieth century. The Mod technology was banned and supposedly destroyed, but Simon is sure he can re-create it. His daring plan draws the attention of Willie G., the Clockwork Canary, London's sensationalist reporter. Simon soon discovers that Willie is a male guise for Wilhemina Goodenough, the love of his youth, who left him jilted and bitter. He questions her motives even as he falls prey to her unique charm. As the attraction between the two reignites, Simon realizes that his vixen from his past has secrets that could be the key to his future as long as he can put their history behind him. The RITA winners will be named this July but this is already a victory for Beth. We, at the Atlantic County Library System, are very proud of her achievements. His Clockwork Canary can be checked out at any of our branches and has just become available for download in our AXIS 360 eBook collection. Axis 360 has a diverse selection of adult, young adult and juvenile titles as well as offering great choices in picture books for kids and all with no overwhelming hold lists! Click here for new instructional videos on how to set up the BLIO and Axis eReader programs to enjoy eBooks on your PC/MAC, tablet, eReader and/or mobile devices. New Jersey’s rich heritage and contributions to American culture are being recognized this year as our State celebrates 350 years of history and innovation. The Atlantic County Library System has always understood the role we have preserving our past for the benefit of the community. To that end, some of the records and collections we maintain can be found on our Historical Resources page. Here you can research local history through digitized newspaper articles, Civil War archives and census information . 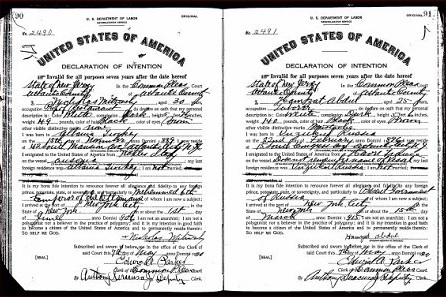 Also, check out the Digitized Wills, circa 1837-1921, and Immigration Records, circa 1850-1930, which were recently updated for easier searching. Click over and take a look into the past. Ever wonder what Atlantic County Library branches do with discarded books when they make room on their shelves for new titles? Or, what happens to all those donations of new and used books branches receive? There a couple of good answers. First, the Atlantic County Library System repurposes many of the items by sending them to other branches in need of the title or to local organizations such as reading centers and nursing homes. 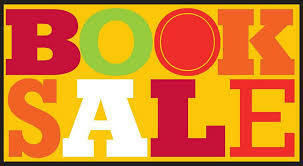 However, some of these also end up in branch book sales. Open to teens and adults. Registration requested. This is a 4-part series, you can choose which ones you want to attend. This first class is on financial know-how. How to balance a checkbook when you do online banking, how to keep to a budget, file your own taxes and build credit. Class taught by a representative of T.D. Bank, Brigantine branch. Secrets of Britain's great cathedrals [DVD].